After breakfast,we will drive to Lake Natron. It is a tedious journey through rough and dusty road. The scenery there is beautiful especially the Ngarasero escarpment, waterfalls, the gorge, Oldonyo Lengai (a still active volcano.) There are great panoramic views and and the lake is teaming with flamingos. Dinner and overnight at Lake Natron. Day 4: Wasso village Tour. After breakfast conduct game viewing in the Lobo area. Return to the camp for lunch then continue to the Seronera area of the Serengeti with game viewing en-route. Dinner and overnight at the lodge or campsite. After breakfast drive to Ngorongoro via Ndutu with game viewing en-route. We will enjoy a picnic lunch along the way. Dinner and overnight at the lodge or campsite on the crater rim. After breakfast descend 2000ft to the crater floor for crater tour with picnic lunch. In the afternoon, we start our return back to Moshi/Arusha where we will arrive in the evening. 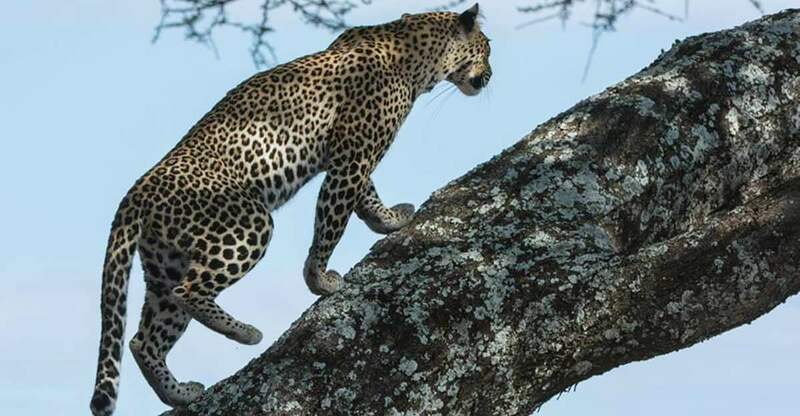 Notes: Popular additions for this itinerary include Serengeti hot air balloon safari or Old Doinyo Lengai climb.